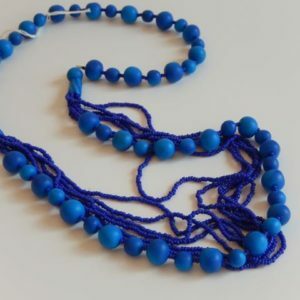 This necklace is made with vibrantly coloured beads that the ladies called mainabatti or candle beads. 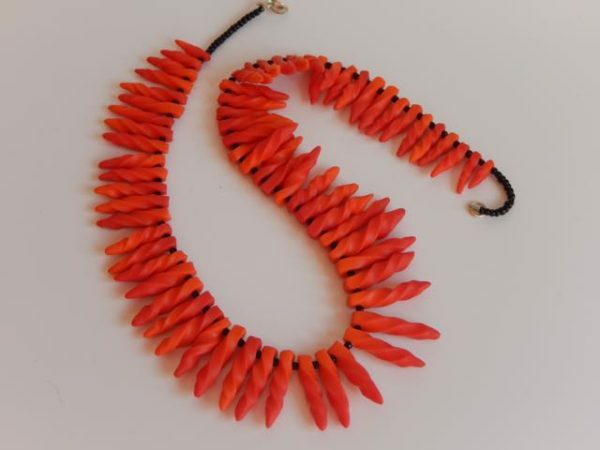 The necklace is just under 50cm long and closes with a pure silver traditional S clasp. 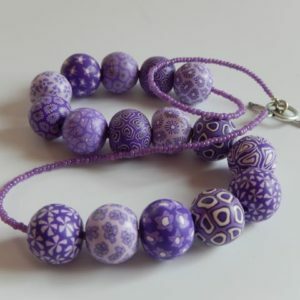 Each bead is approx. 2-3 cm long and, of course, hand made by one of our lovely ladies.